Understandably, b-school candidates have an almost endless number of questions about how to master their MBA essay. 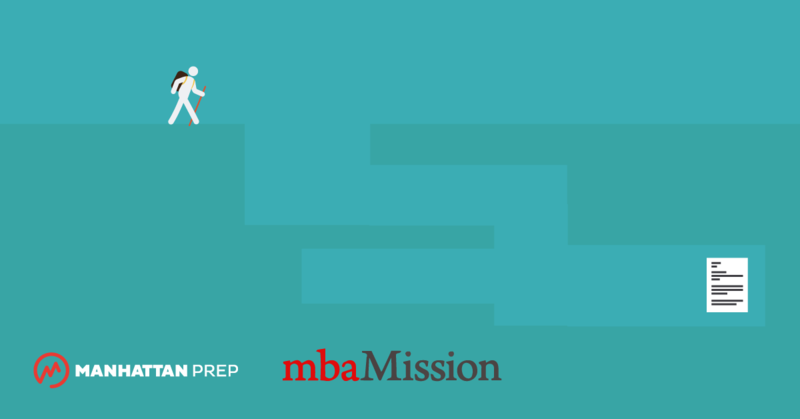 Here, we present our advice on several facets of this challenging portion of the MBA application, in hopes of helping you craft compelling submissions that will stand out to the admissions readers. Candidates often fixate on their professional and community-based stories when writing their MBA essay, completely unaware of the potential their personal stories have to be powerful differentiators. Because so many applicants have similar career experiences, personal anecdotes can help candidates stand out from their fellow applicants. In particular, stories of commitment to oneself or others can have a strong emotional impact on an admissions reader, making the candidate much more memorable. As far as what types of experiences you should discuss, the first criterion is that they be truly distinct and specific to you. For example, one individual may have helped his adopted cousin relocate his birth mother, while another might have taken a six-month leave of absence to take her disabled grandmother on a tour of her home country. Each of us has interesting anecdotes we can tell about ourselves, and these kinds of stories can be nicely showcased in your MBA essay with a little bit of thought and creativity. To start, let us say that if your target program has not explicitly asked, “Why our school?,” do not try to find a way to answer that question in your MBA essay anyway. This is not a test, and the admissions committee has not asked the question for a reason. If, however, the school has asked you to explain your reasons for choosing it, you must be sure to provide an authentic and well-researched answer. If you were to replace the Darden name and even the professor’s name with those of another school and professor, the paragraph would no longer work. The Darden-specific information regarding the day’s case, First Coffee, and Learning Teams ensures that these sentences have a sincere and personal feel—showing that the candidate truly understands what the school is about and resulting in a compelling personal statement that will catch the attention of the admissions committee. Candidates often worry about exceeding a school’s stated word limits, even by a mere word or two. Although we certainly feel that adhering to a program’s guidelines is best and encourage candidates to do so, we also believe that admissions directors are rational individuals and are not unnecessarily punitive. We doubt that any admissions director would ever say, “We think this candidate is great, but he exceeded the word limit by 20 words, so we are going to have to reject him.” Basically, we recommend that candidates not exceed word limits by more than 5%, but we also feel that applicants should exercise this flexibility judiciously and sparingly—and avoid consistently exceeding the limit on every MBA essay. That said, we feel slightly differently about page limits and advise very strongly that candidates stay within any stated page limits. Although a line or two beyond a school’s word limit may not be readily obvious, an admissions reader can immediately tell when an applicant has exceeded a page limit. Adding an additional page, even for just one extra sentence, sends a clear message to the admissions committee that you are disregarding the rules—something you obviously do not want to do! Before you submit your application to your target school, ask someone you believe will give you honest feedback to read your MBA essay and offer their evaluation and advice. However, limit yourself to requesting input from no more than two people. Because the application process is subjective, the more individuals you involve, the more opinions you will receive, and if these opinions differ markedly, they can create unnecessary uncertainty.